and the result is this gorgeous map below. 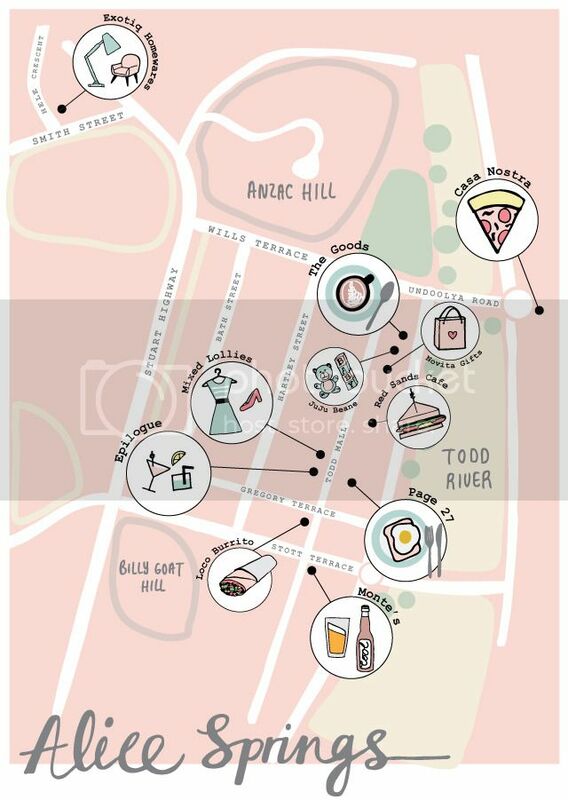 This little map contains all of my favourite places in the town to eat, drink and shop.
. 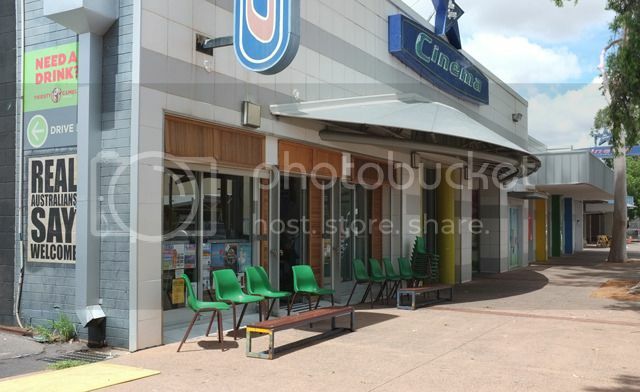 If you are ever in Alice Springs, be sure to check these places out. - we eat here at least once a week! Lulu always orders the spaghetti bolognese, I rotate between the gnocchi with spinach, the scaloppine lemone or the kenny's special pizza, Nick rotates between the steak diablo, the puttanesca, or the mexican calzone. And we love a large mexican pizza takeaway. Most locals have their favourite thing that they order every time. I hope you'll find yours. Be sure to order your dessert when you arrive. There is only one tray of vanilla slice and it goes quickly! - For those of us who can't just pop over to Bali whenever we like, there is Exotiq Homewares. You can wander around there and pretend you are in Bali or you can purchase their wonderful Balinese homewares and create a little bit of Bali in Alice Springs. 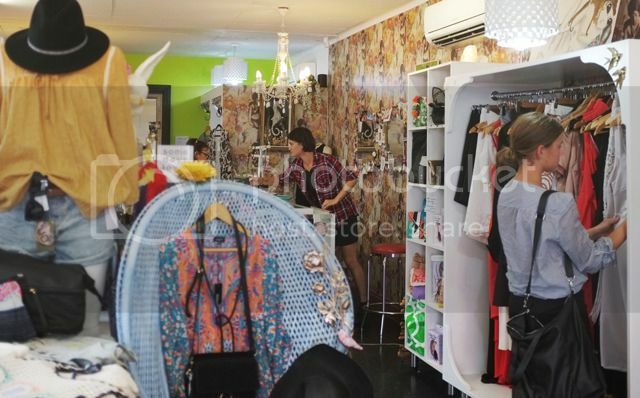 - a relative newcomer to Alice Springs, the Goods Cafe has gone off with a bang. Strong coffee and great savoury snack food. - Stocking a large range of bespoke children's toys, Ju Ju Beane is the destination for kid's presents. They have recently started stocking a small range of newborn essentials and a large range of kids shoes. - The go to place for any gift you need, Novita stocks all things from Bohemia Crystal to Kate Spade to Cabtree & Evelyn. 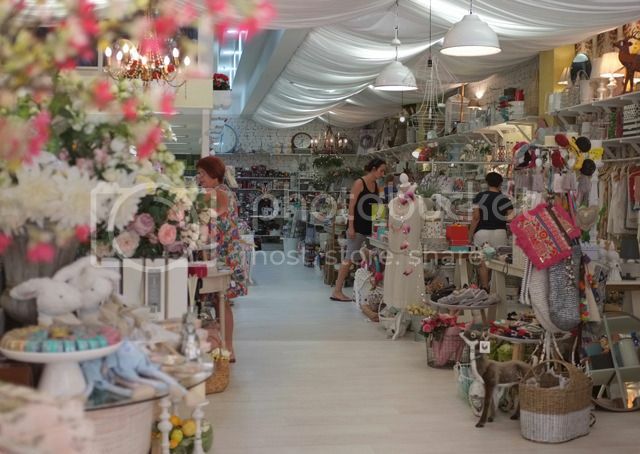 They also have a large selection of baby clothes, toys and essentials. You will get lost in there! - my go to for a quick lunchtime sandwich. They make the best BLT. - The place to go for a fancy frock. Stocking major Australian labels like Alice McCall, Cameo, Maurie & Eve & Lulu's go to label, Rock Your Baby. Accessories a plenty with Petite Grande, House of Harlow and Tiff Manuell. 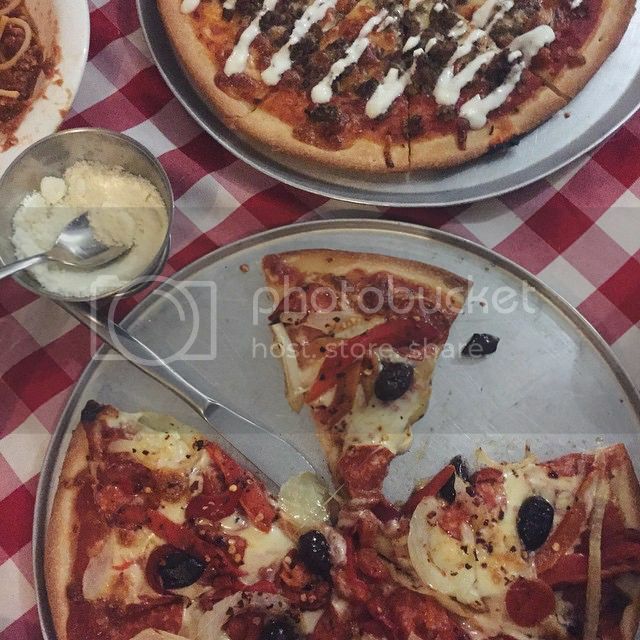 - Cocktails, Tapas, Burgers and Pizza. Epilogue also has a wicked roof top area that is open Friday and Saturday nights. Plus Timber and Steel reminded me in the comments that Epilogue often have live music on said rooftop! - The go to breakfast place. Poached eggs, a huge veggie breakfast (I always add bacon), baby chinos and wicked iced coffee. - Finally Alice Springs is indulging my love of tex-mex. Loco Burrito has been welcomed with open arms. Great for a quick lunch or dinner, the best thing is eating in their cute courtyard garden. - The list isn't complete without mentioning Monte's. Monte's is the go to place for a quick afterwork beer that turns into dinner that turns into the staff kicking you out at closing time. Get on it. 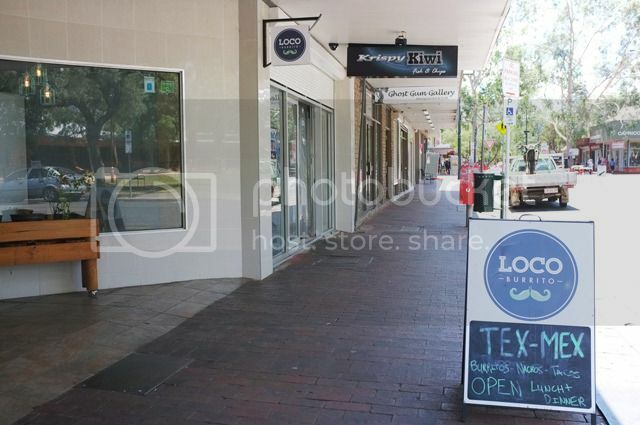 - I love their toasted sandwiches and they also have great coffee. Is the map missing your favourite place? Add it in the comments below.